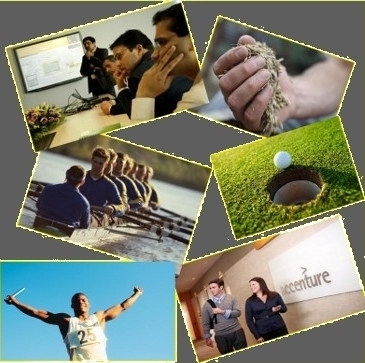 I wrote this micro-story as my second entry for a short story writing contest at Accenture. My first story was Mihir Learns to Golf. In this second story, I made use of all the six pictures in the collage (above). And yes, this one has a moral as well — team spirit. Once upon a time in a corporate board room, a meeting on how to impress the clients went on between a project’s leadership. On a wall was being projected a presentation that taught them several management tactics to maximize deliveries in least possible time, even if that were to happen on cost of team’s satisfaction levels. A certain Hitler stood there delivering his anecdotes as the others sat nodding. Then suddenly the door opened and in came light. Few seconds later, there stood King Cutner, the project’s global lead. He had come without warning, for he had been hearing bad things about the local leadership. So he, in his usual charming self, delivered a speech expressing his concerns. He spoke and everyone listened, including Hitler the presenter. King took a pause and motioned toward the nearest flower pot, from which he picked up a handful of sand. He then gradually loosened his grip and let the sand slip back. Mr. Cutner called upon to see his entire team. During his week’s stay, he talked to each one of them, motivated them, and trained them to work as a team, like participants of a rowing team with King at the helm. 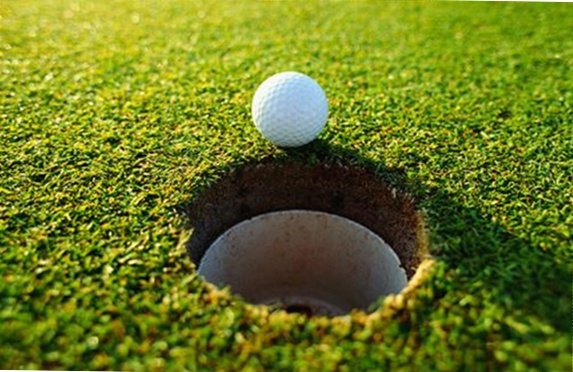 When work became overwhelming, King took them out for sports, mostly golf. There was happiness in the team, and everyone worked hard for the crucial next release. When needed, they passed the baton to the next member, giving them a chance to innovate. In the end, the team of 25 won the race. The clients were happy with the results, and proud of having given their assignment to Accenture as they walked out the hallway. Update: I got the 1st prize in the writing contest for this story. This micro-story was my first entry for a recent story writing contest at Accenture (results have yet to be declared). The contest was about writing a moral-supported tiny story based on a set of given pictures. I wrote mine around picture above, one of the six provided. It’s a cheesy kids’ story with a happy ending. Oh yes, if you are wondering about golf in evening, well, it’s summers! A 12 year old Mihir had this bad habit of finishing his homework fast, never bothering about accuracy, to satisfy his mom, who wouldn’t allow him to go play with friends before homework was finished. Mihir followed a similar approach when preparing for tests. One afternoon, he came home weeping. As he entered, he saw not only his mom at the dining table, but also his dad, who had come home early. His weeping became hard. “Come here,” Dad called out from the table. Mihir slowly trotted to near his dad’s chair. Dad removed the sheet of paper from Mihir’s hand that he was hiding behind his back. “Six out of twenty, in Maths,” Dad announced. He looked at Mom, who defensively added “I keep on telling him to study more carefully. This is what happens…” She was interrupted as Dad gestured to calm the angry Mom. Dad turned to Mihir. At the golf course, Mihir carried around his Dad’s kit to fulfill his caddie duties. Spotting a good location, his Dad halted. He grounded the tee, placed the ball, and swung his club. The ball landed near the 1st hole. 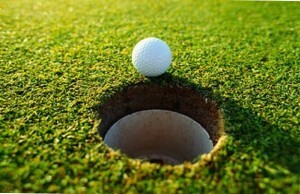 Mihir followed his Dad to the hole and watched him carelessly putt the ball, which overshot the hole by a good margin. Dad went to the ball, took his time to aim carefully, and, this time, hit it gently along the green. Mihir watched it drop into the hole. “Yay! You did it, Dad!” exclaimed a cheery Mihir. “Exactly! And this is how you can improve your test results too…” Dad continued to explain to Mihir how he was not aiming right and driving his studies hastily. Mihir listened to his father inquisitively and promised to apply the lesson learned. In his next Math test, Mihir got 15 out of 20, his all-time best.